Now, the mighty Indominus Rex has learned to shift its body into a more humanoid form and sneak its way through society, blending in like it belongs. 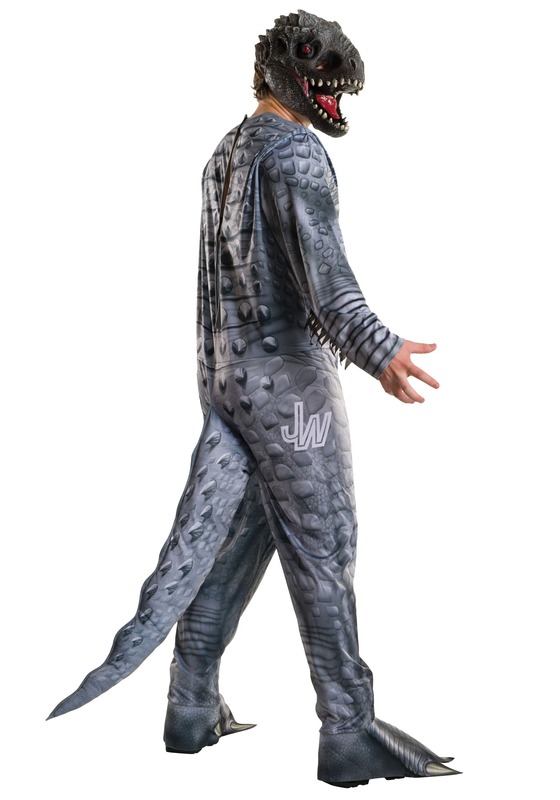 You can feel exactly what that is like with this Adult Jurassic World Indominus Rex costume. 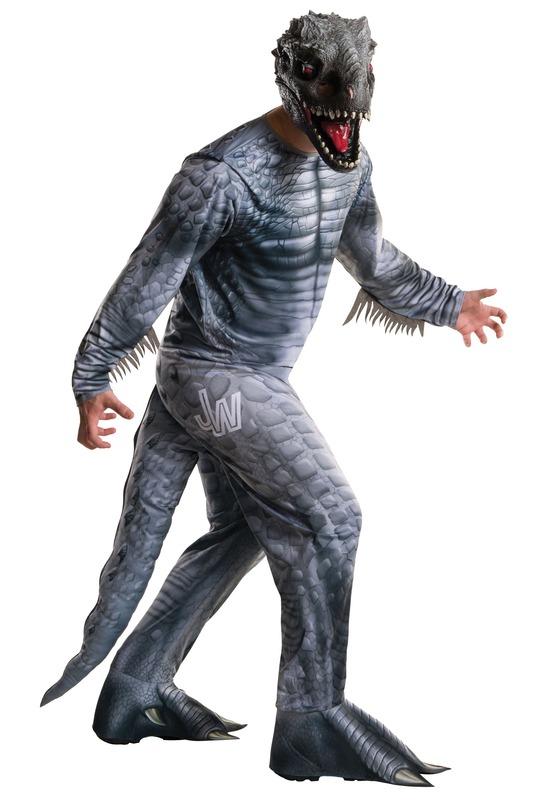 This polyester dinosaur jumpsuit has graphic scale print along its sides, a plush stuffed tail, and comes with a rubber latex mask to give you the especially toothy grin of Indominus. Just be on the lookout for raptors or a particularly buff looking park ranger who might bring you down!